A kitchen is rightly called as the “Heart of a Home.” It is the space where a family not only shares its meals, but also laughs and celebrates important moments together. When designed properly, your kitchen can also invoke your gourmet skills and increase a sense of family togetherness. At Miami Best Contractor, we create exhilarating designs for your kitchen’s renovation in the hopes that you will be able to use your kitchen to its fullest. 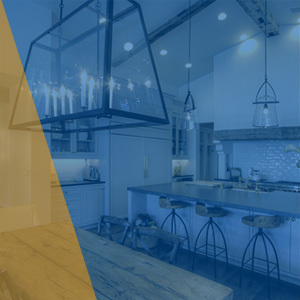 As with any other remodeling project, we begin kitchen renovations with an evaluation of your needs and offer customized solutions that suffice them in the best manner possible. Whether you are looking for a complete kitchen makeover or want to renovate the kitchen countertops or cabinets — we do it all! Our solutions are integrated with the principles of design, ergonomics, workflow, and functionality. As a result, you may be surprised with our space planning skills when we’ll connect the adjoining spaces, add a window, remove the walls, or make suitable adjustments to the existing floor plan. This way, you will be able to optimize your kitchen storage space and make your cooking area much for organized. Having a well-designed kitchen will do wonders for how to cook in the kitchen and how you feel in your kitchen. Crowding and cramped cooking areas are a mess and sometimes even dangerous. With a kitchen remodeling project, you will be able to design your kitchen as you see fit and adapt it to meet your specific needs. Our kitchen renovation process begins with a complete 3D imaging of the completed kitchen remodel. It will offer you insights about the design and ensure if it aligns with the way you envision your kitchen to look like. You can immediately make changes to this design and save a lot in expense, stress, and time. More importantly, having this technology at our fingertips makes your remodeling project much for simple. By having this type of imaging, you and one of our contractors can visually see what you envision for your kitchen. That way, there is no misconceptions of what you want and what your contractor is able to do. We will quote a precise deadline and budget for your project. With minimal disruption to your daily schedule, we can run your kitchen remodeling process smoothly within the estimated timelines we put in place. So, don’t stress about the deadlines of your project. We pride ourselves on sticking with our predetermined scheduling, however if something goes awry, we are very vigilant to immediately communicate with our customers. Our attention to the effectiveness of communication is what makes our business successful. By keeping closely in contact with our clients, we are able to coordinate schedules, budgets, deadlines, and updates easily. We always deploy the best materials and superior craftsmanship in every project undertaken by our company. A flawless kitchen remodel is always stress-free and hassle-free. From the beginning until the end of your project, our consultants will work closely with you at every step in order to prevent confusion or any frustration. We offer low-risk options and customizable designs for all your kitchen renovation needs. From the selection of skylights to home appliances, we will offer consultation whenever you need us. You can explore our portfolio for the projects we’ve completed. If you find them inspiring, please contact us immediately so we can get started on your individual project. We are happy to assist you, and make your kitchen one of the focal points in your home. If you are interested in our services contact us, and if you have any questions, we have representatives ready to help you with any inquiries you might have.